A recurring calendar event is scheduled, the first few one-on-ones are dutifully attended, but then over time the poor dialog and lack of purpose lead to meetings getting pushed, other issues cannibalizing the time, and eventually the idea is just scrapped. This article is not about getting started, it is about getting good and maintaining an effective employee check-in practice over the long-term. One-on-one meetings should not use the same template each week. Ben Horowitz calls one-on-ones “the free-form meeting for all the pressing issues, brilliant ideas and chronic frustrations that do not fit neatly into status reports, email and other less personal and intimate mechanisms.” If you are always asking the same four questions, the meeting is bound to get stale. That does not mean you should go in without a plan. Instead of a static template, we are going to build a practice. That means instead of trying to create the perfect single meeting, we’ll try to optimize all the one-on-ones we’ll ever have with an employee as a whole. Think of it like using many different types of meetings, but in the same time slot each week. Below we’ve listed out 11 types of employee one-on-one meetings. Each one does not need to take up the full 30 minute or one hour timeslot you’ve allotted and you’ll find that you often combine two or three into a single sitting. We listed them roughly in the order of how frequently they should be used, and generally you should get through all of them about every 6 months. The first step in creating effective one-on-ones is to build trust. If your employees feel that you’re distant they won’t come to meetings open and willing to share. They also won’t feel connected and ready to work through things together. The good news is that creating trust is relatively easy, the only step is to take an honest interest in someone as a person. Find out more about their personal life and their hobbies, be there for them when they face life’s challenges. If your employees know you’re there for them and care for them, all the other types of meetings below will go much more smoothly. 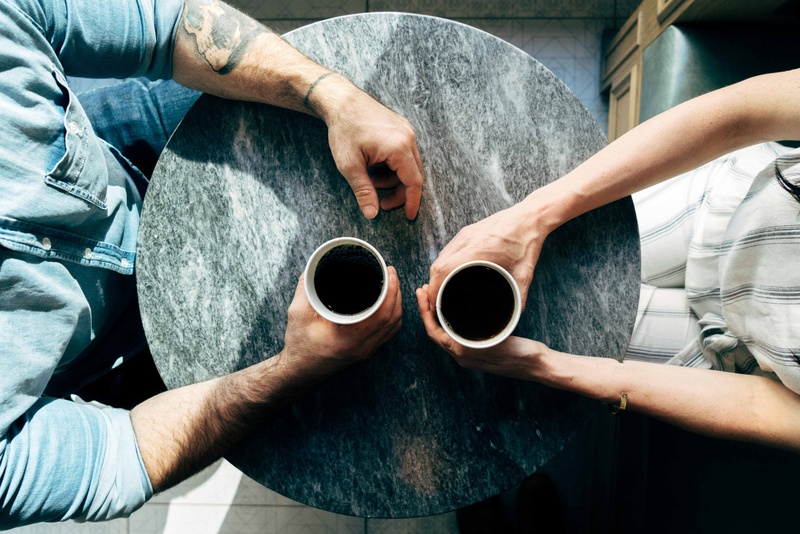 If you don’t already have a strong connection with an employee, don’t be afraid to spend the first few one-on-ones just building up a stronger rapport. Then over time take a few minutes to check in on them every meeting and periodically just let a whole meeting go by talking about them. Remember, we’re not judging the impact of any one meeting, we’re judging the impact of our one-on-one practice as a whole. What’s your favorite thing about work? How are your kids/spouse/parents doing? Do you have any exciting plans for summer/holidays/new year? One-on-ones should be the employee’s meeting, as often as possible. This means they set the agenda. That said, you can still help guide them, and let them know it is ok to bring up certain issues. For example, if your employee is having trouble working with another person at the office, they might not want to bring that issue up unless you first prompt them and let them know it is fair-game to discuss. Prompt the meeting with open-ended questions designed to unearth specific issues if they exist. Have you been struggling with anything? Is there anything that you think I should know about? Do you have an easy relationship with everyone at the office? Have you noticed anything at the company that felt off lately? Do you have any questions about the organization? Is there anything that you need from me? Often check-ins are just a discussion of what the employee is working on right now. They can be an opportunity to provide feedback, course corrections, additional support, or remove barriers. Tell me your plans for next week? What is the latest on the project? Is anything getting in your way lately? What are you prioritizing and what are you putting on the back-burner? What project do you want to work on next? Are you confused by any part of what you’re currently working on? An organization is by definition a group of people working towards a particular purpose. For that reason it is important to regularly check in on how your team is working with the rest of the organization. Who on the team impresses you? Why? If you were to build a small team to work with, who would be on it? Who do you have a hard time working with? Why? What makes someone a fit for our team? Is there anything you would do to improve how the team collaborates? Is there anyone you think you should be working more closely with but aren’t? What would you change about our team? Why do you think Jill left the company? Is there something we should change? Once you have built up some trust, use one-on-ones as a way for employees to share any issues they have with the way you work. Getting these out in the open is incredibly healthy, it gives you a chance to explain yourself, or make changes. Requesting feedback is also a great way to build additional trust before giving difficult feedback. Is there anything I can do to give you more support at work? Can I help you work through anything specific? Is there anything you would change about how you and I communicate? Would you prefer more or less direction from me? Is there something a former manager did that you really appreciated? Do you have some examples of things you don’t think I handled well? The regular and recurring nature of one-on-ones makes them a perfect place for continuous feedback. That said it is also important to cater feedback to the individual, so if you the employee wants to hear from you in the moment, waiting two weeks or a month until the next check-in might not be appreciated. I want to talk about something I noticed the other day. We haven’t been achieving this goal, I want to work with you to figure out why. What’s something recent you wish you did differently? Is your work meeting your own expectations? Is there anything you’re currently working on getting better at? One of the most common complaints from employees is that no one is listening to their ideas. One-on-ones are the perfect platform to discuss what changes your team would like to see at the company. Front line team members can often be the best source of ideas, but also don’t be afraid to push back on ideas and give the employee more context when needed. If you could change anything at the company, what would it be? If you were me, what would be the first change you’d make? What don’t you like about our product or service? How do you feel about our company culture? What would make it better? Where do you see our company in 10 years? What’s the biggest opportunity we’re not pursuing? This one can be easily overlooked. Your team will often not have the same view of the company as you do and a regular meeting can be a great time to communicate any new initiatives, company level goals, and how an employee’s work fits into the big picture. Has anyone told you how your new project fits into the company’s goals? Can we discuss the company’s 2018 priorities and how that impacts what we do? Do you have any questions about what I do? What part of the company would you like to learn more about? Can we talk about the impact your work has on the customer/the company? While it doesn’t make sense to discuss long-term goals every week, it is important to understand what motivates your employees and where they are looking to go in life. If you can find ways to align their personal goals with the company’s goals the results will be dramatic. What’s your totally crazy idea that probably could never work, but you’d love if it could? Is there someone who you think has an awesome life? What do you want to do in your next job? Do you feel like your work helps you make progress towards your goal? What part of your work here is most in line with your goals? Do you feel like you’re learning new things at work? Are there things you’d like to learn? Is there additional training or education that you’ve considered pursuing? Can we do anything to better align your work with your goals? Do you have skills that you think are underutilized at work? This one almost feels too big or maybe too simple? But, happy employees are better employees, and unhappy employees are at risk of disengaging or turning over. You won't know for sure until you ask. Do you feel proud of what you do here? Do you enjoy coming into work? What parts of your job make you unhappy? What part of your work energizes you? Finally, don't forget to follow up. If you are doing one-on-ones well, then they should form an ongoing dialog where ideas get raised and you can discuss progress over time. Take notes and set reminders together to revisit the idea at a future date. Pick and choose from the different types of meetings above to create your own one-on-one practice that is a fit for each employee and your organization. Before long one-on-ones will be a key part of your management tool belt.